Corn: The corn market closed a little bit easier, doing its best to ignore the strong dollar, and falling wheat and soybean values. The new crop soybean:corn price ratio closed at 2.34:1 tonight. In line with expectations, the USDA raised Argentine corn production this year by 0.5 MMT to 24 MMT and held pat on Brazil at 75 MMT. Sneaking in under the radar a little was a near 1 MMT hike for production in Serbia to 7.7 MMT. The USDA raised US ending stocks from 1.777 billion in March to 1.827 billion, although that was actually a bit lower than the 1.854 billion that the market was expecting. US corn consumption was lowered from 302.15 MMT to 300.88 MMT. World ending stocks were raised more than 3 MMT to nearly 188.5 MMT. US corn exports were left unchanged, along with Brazil. Argentina and Serbia both got a 0.5 MMT increase. The Buenos Aires Grain Exchange estimated that the Argentine corn harvest is now 17.1% complete, and pegged production 1 MMT below the USDA at 23.0 MMT. MDA CropCast estimated Argentina's crop at 23.6 MMT, unchanged from a week ago. They also were unchanged on their outlook for Brazil at 76.9 MMT. Looking ahead, they cut their view on Argentina in 2015/16 to 20 MMT, but upped Brazil to 75.3 MMT. South Korea's NOFI are tendering for 207,000 MT of optional origin corn for November shipment. 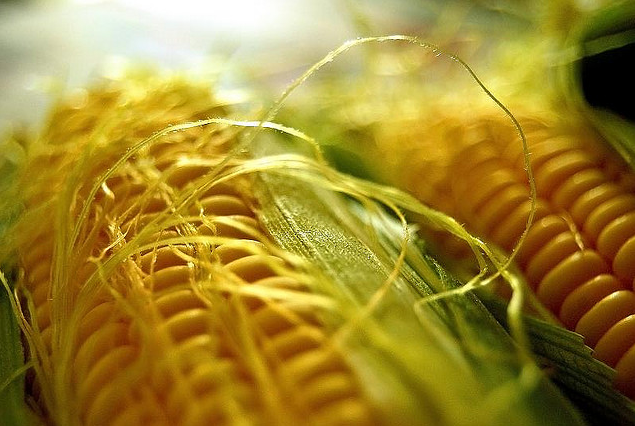 COFCO said that the Chinese government aim to stockpile a record 80.0 MMT of corn by the end of April versus the 69 MMT bought for stockpiling in 2014. Weekly US export sales of 639,600 MT for delivery in 2014/15 were up 57 percent from the previous week and up 45 percent from the prior 4-week average. There were also sales of 62,900 MT for 2015/16. That was at the top end of trade expectations. Weekly exports of 1.17 MMT were also quite robust. May 15 Corn closed at $3.78, down 1 1/4 cents; Jul 15 Corn closed at $3.85 3/4, down 1 1/2 cents. Wheat: The wheat market was anywhere from 6-10 cents lower across the three exchanges. Weekly export sales of 319,900 MT for delivery in 2014/15 were up 97 percent from the previous week and 16 percent above the prior 4-week average. Of note was a sale to China (57,500 MT). Exports themselves were "ho hum" at 375,700 MT. It's saying something when sales of less than 320 TMT are almost viewed as impressive. Nevertheless, the USDA highlighted the plight of US wheat exports, which were lowered 1 MMT to 24 MMT, noting that these are now seen down 24% year-on-year and the lowest in 12 years. Exacerbating the problem for the US, Canada's wheat exports will match those of their illustrious cousin at 24 MMT for the first time ever, they added. Sitting very comfortably at the top of the world wheat export table now is Europe, who's export potential was raised 2 MMT from a month ago to a record 33.5 MMT, nearly 40% more than those from the US. World wheat ending stocks were reduced around 0.5 MMT to a still more than ample 197.2 MMT. US wheat ending stocks were trimmed back a little to 684 million bushels, slightly lower than the 692 million average trade estimate. In other news, MDA CropCast cut their forecast for the 2015 Indian wheat crop by 2.2 MMT to 92.3 MMT, reflecting recent reports of rain and hail damage just prior to harvesting. They also reduced their outlook on production in both Argentina and Brazil in 2015/16 by 0.5 MMT each to 12.0 MMT and 7.3 MMT respectively. Turkey's 2015 crop was raised 1.8 MMT to 18.0 MMT however. 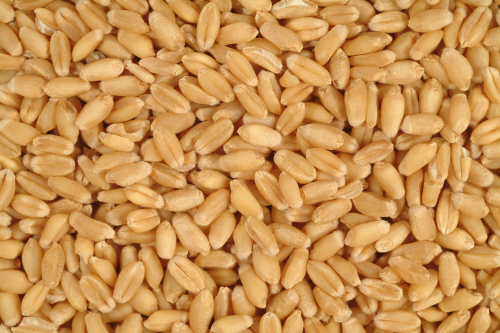 Japan bought 122,429 tons of milling wheat for May–June shipment in its regular combo of US, Canadian and Australian origin material. Rusagrotrans forecast Russia's 2014/15 grain carryout at a record 15.5 MMT, as wheat shipments slow following the introduction of the new export duty on Feb 1. May 15 CBOT Wheat closed at $5.18 3/4, down 7 1/2 cents; May 15 KCBT Wheat closed at $5.51 1/2, down 9 3/4 cents; May 15 MGEX Wheat closed at $5.74, down 6 1/2 cents. 09/04/15 -- EU grains were mixed on the day with May 15 London wheat ending GBP0.80/tonne weaker at GBP119.75/tonne, May 15 Paris wheat was down EUR0.750/tonne at EUR189.2/tonne, Jun 15 Paris corn slipped EUR0.25/tonne to EUR164.00/tonne and May 15 Paris rapeseed rose EUR4.25/tonne to EUR369.50/tonne. 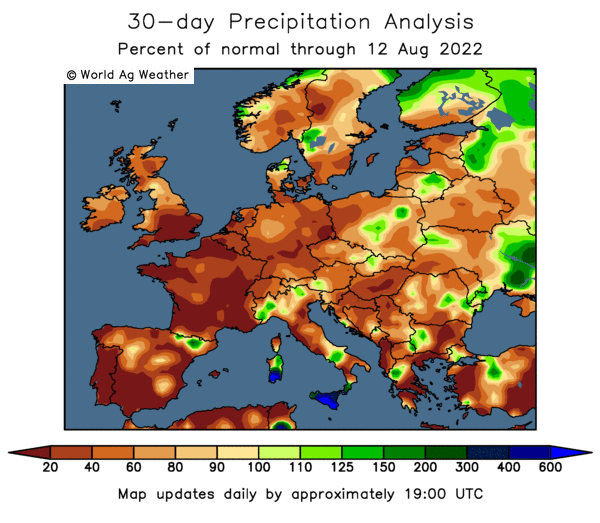 The Ukraine Ag Ministry reported that good spring rains mean that 99% of winter grains are in good condition, up from around 82% a couple of months ago. Private analyst Agritel aren't quite so bullish, estimating that 41.6% of winter grains to be in good condition and rating 44.3% as satisfactory, which leaves 14.1% rated as poor. The Ukraine Ag Ministry said that early spring grains (mostly barley) had now been planted on 1.5 million hectares. Rusagrotrans said that Russian 2014/15 grain ending stocks would come in at a record 15.5 MMT, including an estimated 2.1 MMT held in intervention. That would easily beat the previous all time high of 10.6 MMT, set at the end of the 2010/11 crop year - the season that Russia last introduced an outright wheat export embargo. They went on to estimate Russian grain production at 93-98 MMT this year. Separately, Agritel estimated 79% of Russian winter grains to be in good condition. 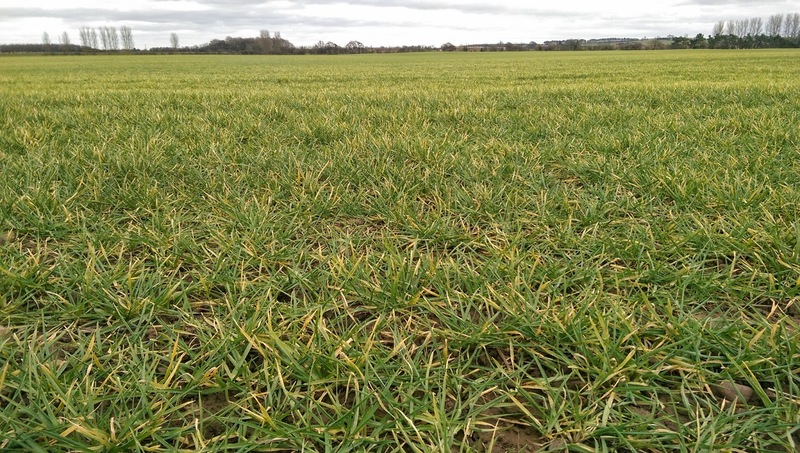 At home, Defra said that the wheat inclusion rate in compound feed production in February rose to 69.5% of all cereals used versus 68.2% in January. Barley's slice of the cake fell from 23.3% in January to 22.1% in February. Late in the day, the USDA's April WASDE report raised the outlook for EU wheat exports this season by 2 MMT to a new record 33.5 MMT, which would now beat last season's all time high by almost 1.5 MMT. "The EU has abundant supplies, freight and logistical advantages (over America) to North Africa and the Middle East, and competitive prices. France has an unusually large supply of feed-quality wheat, which is being exported to Southeast Asian markets," they said. The report also raised Russia's export potential this season by 0.5 MMT to 20.5 MMT. Egypt's wheat import needs were raised 0.2 MMT to 10.7 MMT as consumption is seen rising from the 18.4 MMT forecast a month ago to a new figure of 18.9 MMT. Despite the 2 MMT hike in EU exports, ending stocks here were only lowered a little - down from the 15.82 MMT predicted a month ago to 15.33 MMT. That's because the USDA also forecast lower EU wheat consumption this season than they did in March - that was reduced from 124.5 MMT to 123.1 MMT. EU 2014/15 barley exports were left unchanged at 7.5 MMT, with ending stocks reduced slightly to 5.44 MMT. 08/04/15 -- Soycomplex: Beans closed narrowly mixed ahead of tomorrow's WASDE report from the USDA. It seems like the trade has positioned itself where it wants to be ahead of the release of that. The trade is expecting US 2014/15 soybean ending stocks to come in at 370 million bushels, from within a range of estimates of 347-399 million and the USDA March estimate of 385 million. For world ending stocks the average trade estimate is 89.53 MMT, from within a range of estimates of 88.00-91.15 MMT and exactly the same as the USDA March estimate. Production in Argentina is seen at 57.23 MMT, from within a range of estimates of 55.5-60.2 MMT and versus the USDA March estimate of 56.0 MMT. Brazil is seen at 94.18 MMT, from a range of estimates of 93.0-95.0 MMT and versus the USDA March estimate of 94.5 MMT. Overall, not a huge amount of change then. In other global news, FCStone estimated Brazil’s 2014/15 soybean crop at 93.6 MMT. Conab will release their updates on Friday. A major fire at a fuel storage facility at the Brazilian port of Santos is seen causing a few disruptions to shipments of beans and grains. 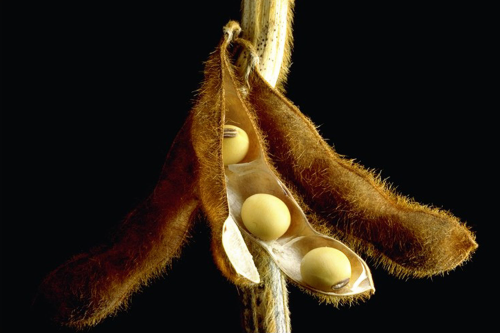 APK Inform estimated Ukraine's 2015 soybean crop up 4.1% at 4.04 MMT. Output of sunflower and rapeseed will decline sharply this year, down 5.5% and 32.3% respectively, they added. Ukraine farmers will cut back on fertiliser usage this year as a cost saving measure, resulting in reduced yields, they predict. The 2015 Ukraine soybean area is actually seen rising by 19% over last year. The USDA will also release their regular Thursday weekly export sales report tomorrow. For beans the trade seems to be expecting something around zero on old crop, and maybe 500 TMT on new crop. May 15 Soybeans closed at $9.71 1/2, up 1/2 cent; Jul 15 Soybeans closed at $9.76 1/2, up 1/4 cent; May 15 Soybean Meal closed at $319.90, up $0.20; May 15 Soybean Oil closed at 30.95, down 8 points. Corn: The corn market closed a bit lower heading into tomorrow's USDA report. Unlike beans, US 2014/15 corn carryout is expected to rise from what was predicted a month ago. The average trade guess for that is 1.854 billion bushels, from within a range of estimates of 1.750-1.999 billion and versus the USDA's March estimate of 1.777 billion. Global ending stocks are also seen climbing, with the average trade estimate at 186.91 MMT, from within a range of estimates of 184.70-191.00 MMT and up from the USDA's March estimate of 185.28 MMT. Production in Argentina is seen rising to 23.90 MMT, from a range of estimates of 22.00-29.30 MMT and the USDA March estimate of 23.50 MMT. Brazil's crop is seen little changed at 74.82 MMT, from a range of estimates of 73.0-77.4 MMT and versus the USDA March estimate of 75.0 MMT. FCStone estimated the Brazilian crop at 75.5 MMT today, up from 74.9 MMT previously. CNGOIC said that China will import 4 MMT of DDGs, 7.0 MMT of barley (up 40% from a year ago), and 8.1 MMT of sorghum (nearly double that of a year ago) in 2014/15. The USDA's FAS in South Korea said that the country would import 9.8 MMT of corn in 2015/16, up 0.2 MMT from this season. The US share of that business will increase from 40% to 41%, they predict. Indonesia's 2015/16 corn imports are seen falling 0.5 MMT to 3.0 MMT next season. APK Inform estimated corn production in Ukraine at 24.3 MMT this year, a drop of 14.7% on last year, partly due to reduced plantings of the input hungry crop (these are seen falling 8%), but also on the back of lower anticipated yields. Crude oil suffered a bad day at the office, which had a negative drag on corn prices today. WTI crude fell more than $3.50/barrel, or 6.6%, to close at $50.42/barrel. The catalyst was the US Department of Energy reported the largest crude oil build since 2001, with crude stocks rising 10.9 million barrels in the week ending April 3, reaching a new record high of 482.4 million barrels. Weekly ethanol production fell 16,000 barrels/day to 936k bpd, which was also bad news for corn. Trade ideas for tomorrow's weekly export sales are around 400-650 TMT. May 15 Corn closed at $3.79 1/4, down 3 3/4 cents; Jul 15 Corn closed at $3.87 1/4, down 3 3/4 cents. Wheat: The wheat market closed mostly a little bit lower, pressured by falling corn prices. Tomorrow's WASDE report isn't expected to throw up any startling changes, with the average trade estimate for US 2014/15 ending stocks at 692 million bushels versus the USDA March estimate of 691 million. There is some difference of opinion there though, with the range of estimates being 671-721 million. It's a similar story for the global ending stocks picture, with the average guess of 197.51 MMT little changed from the USDA March estimate of 197.71 MMT. The range of estimates for that are195.40-199.00 MMT. APK Inform pegged the 2015 Ukraine wheat planted area up 10% on last year, although reduced inputs (and the resultant lower yields) still mean that production will decline 2.1% to 23.6 MMT, they said. Barley plantings are seen down 6%, with production falling 17.8% to 7.44 MMT, they added. Pakistan said that they expect to harvest 26 MMT of wheat this year, up from 25.29 MMT a year ago. The USDA's FAS in Indonesia estimated that the country will import 8.1 MMT of wheat in 2015/16, up 5.2% from 7.7 MMT this season. Australia are likely to be the main beneficiary of this as they currently supply more than half of the country's import needs. FranceAgriMer forecast increased French soft wheat exports (18.26 MMT versus 18.03 MMT previously), although they left ending stocks unchanged at 3.58 MMT which is more than 50% up on a year ago. Rusagrotrans said that Russia had shipped out 534 TMT of wheat in March, up from 461 TMT in February. They see April exports falling to around 400 TMT. The Russian Ag Minister said that no decision will be made on cancelling the wheat export duty for a while yet, and hinted that it may even be extended. They are still predicting a Russian grain crop of 100 MMT this year. 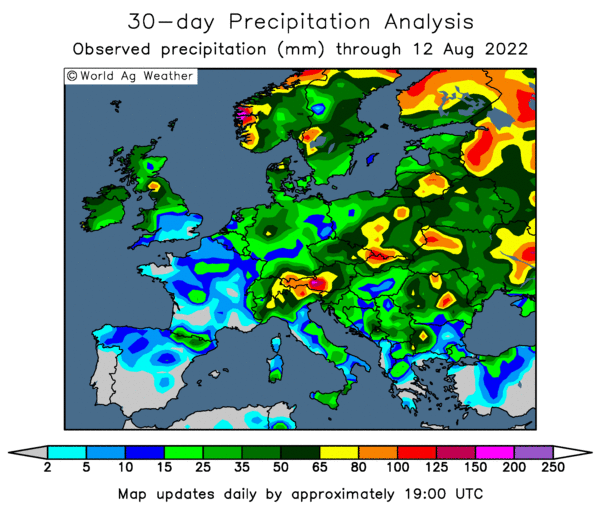 That's only down modestly from around 105 MMT last year, yet winter crop conditions are said to be pretty poor, and growers there face similar financial obstacles to their Ukraine counterparts. Trade thoughts on tomorrow's weekly export sales report are around 200-450 TMT. May 15 CBOT Wheat closed at $5.26 1/4, up 1/4 cent; May 15 KCBT Wheat closed at $5.61 1/4, down 4 cents; May 15 MGEX Wheat closed at $5.80 1/2, down 3 cents. 08/04/15 -- EU grains closed mostly lower with May 15 London wheat down GBP1.30/tonne at GBP120.55/tonne, May 15 Paris wheat fell EUR1.50/tonne to EUR190.00/tonne, Jun 15 Paris corn slipped EUR1.00/tonne at EUR164.25/tonne and May 15 Paris rapeseed rose EUR1.50/tonne at EUR365.25/tonne. FranceAgriMer raised their forecasts for French soft wheat, barley and corn exports from last month. Despite those increases though ending stocks for 2014/15 are still seen up massively from where they were 12 months ago. That's pretty ominous for supplies in 2015/16, given the vibe coming out of France for this year's wheat production prospects, with plantings at a more than 20 year high and over 90% of the crop rated good to very good. The bare numbers are that French soft wheat exports will total 18.26 MMT this season, up from 18.03 MMT previously, although still down on last year's 19.17 MMT. Ending stocks are forecast at 3.58 MMT, which is 52.7% up compared with inventories at the end of 2013/14. Corn exports are now seen at 7.09 MMT (6.89 MMT previously), up 35% on a year ago. Even so, there will still be 3.77 MMT of last year's bumper crop around at the end of the season, a 64.5% increase versus a year previously. French barley exports will total 6.12 MMT this season (from the 6.01 MMT previous forecast), with ending stocks at 1.39 MMT, up 33.5% compared to the end of last season. The Spanish Ag Ministry estimated soft wheat plantings there for the 2015 harvest at 1.85 million ha versus 1.87 million a year ago. Barley plantings are also little changed at 2.78 million ha versus 2.79 million a year ago. APK Inform released their first estimates for crop production in Ukraine this year, seeing the 2015/16 grain crop down 10% at 57.4 MMT. Plantings will be unchanged overall, but yields are expected to fall 9% due to reduced fertiliser applications as a cost saving measure, they said. They see wheat production down 2.1% at 23.6 MMT (not too much of a drop due to increased plantings), but barley output will fall 17.8% to 7.44 MMT and corn production will drop 14.7% to 24.3 MMT and growers reduce the area for both by 6% and 8% respectively. They also predict a 6.8% decline in Ukraine oilseed production this year, with the OSR crop down almost a third to 1.49 MMT. Sunflower output will drop by a more modest 5.5% to 9.57 MMT, and soybean production will increase 4.1% to 4.04 MMT, they said. Meanwhile, Ukraine's 2014/15 grain exports now stand at 27.3 MMT, including 9.7 MMT of wheat (36%), 13.1 MMT of corn (48%) and 4.3 MMT of barley (16%). Russia's Ag Minister said that the country won't make a decision on whether to revoke, or indeed extend, the current wheat export duty until the end of May or early June, depending on how things go between now and then. Rusagrotrans said that the country had exported 1.78 MMT of grains in March, up from 1.24 MMT in February. Wheat accounted for 30% of that volume (534 TMT), barley 41% (734 TMT) and corn 25% (440 TMT), they said. They estimated April exports at 1.2 MMT, comprising around 400 TMT of wheat, 500 TMT of barley and 300 TMT of corn. The top home for grain exports last month was Saudi Arabia (499 TMT), followed by Turkey (449 TMT) and then Iran in third (205 TMT). She's predicting a close-run thing between The Druid's Nephew and a horse called Soll in the big race, with the later just getting the nod. Soll is currently available at 20/1 with a variety of bookies, including High Street favourites such as BetFred, Willy Hill, Laddies and Coral. You can get 14/1 on The Druid's Nephew with Laddies. The favourite this year is a thing called Shutthefrontdoor, largely because it's ridden by the people's darling A P McCoy in his last ever ride in the race before he hangs up his jodphurs and retires at the end of the season. That's a good enough reason not to back it if you ask me. If you fancy having an each way punt at big odds then Septic Pegs says that Corrin Wood (66/1) could be worth a couple of quid. 07/04/15 -- Soycomplex: Beans drifted lower in quiet trade. Pretty much a carbon copy of yesterday in fact. The USDA announced 165,000 MT of US beans sold to China for 2015/16 shipment. Routine business there. Attention is now switching to Thursday's WASDE report from the USDA. That is expected to tighten US ending stocks a little, with a net reduction of 15 million bushels being the average trade guess. They were pegged at 385 million a month ago. The range of guesses is 339 million to 391 million. World soybean stocks are estimated to be unchanged. There may be some tweaks to production in South America, where they were at 94.5 MMT for Brazil and 56 MMT for Argentina last month. A rise for Argentina is perhaps the most likely change there. In other news, Safras e Mercado said that the Brazilian bean harvest is 75% complete versus 80% a year ago. China is estimated importing 5.4 MMT of soybeans this month, rising to 6.6 MMT in May, 7.0 MMT in June and 7.8 MMT in July. There's some talk of Ukraine possibly introducing an export duty on soybeans. A wetter forecast for the US Midwest is seen leaning bearish for beans, as it is beneficial in terms of recharging reduced soil moisture profiles and it could delay corn planting. May 15 Soybeans closed at $9.71, down 7 1/2 cents; Jul 15 Soybeans closed at $9.76 1/4, down 7 1/4 cents; May 15 Soybean Meal closed at $319.70, down $3.30; May 15 Soybean Oil closed at 31.03, down 23 points. Corn: The corn market edged a little lower, in what also looked like a repeat performance of yesterday's action. Although the USDA didn't report national corn planting progress last night, some of the individual southern states did, and almost all are still well behind normal. Louisiana was 67% planted versus 93% normally, Arkansas was 27 % planted versus 43%, Mississippi was 34% completed versus 57% and Texas was 37% planted versus 43%. The forecast for both the Delta and the Midwest is now wet for the week ahead, which could certainly encourage some switch from intended corn acres into beans. The trade is expecting US ending stocks to rise around 80 million bushels from the 1.777 billion bushels forecast a month ago in Thursday's report. Global carryout is expected to be raised around 1.5 MMT too. Commodity Weather Group are said to be tentatively forecasting a wet bias for the US Corn Belt in June/July, turning drier in August. Relatively benign temperatures are being pencilled in for the whole summer however, which would keep crop stress to a minimum. Russia said that they'd exported 1.963 MMT of corn so far this season, a 37% reduction on last year at this time. Weekly ethanol production numbers are out tomorrow. Last week's output was 952,000 barrels/day. Firmer crude oil markets these past few days are supporting ethanol prices. May 15 Corn closed at $3.83, down 2 cents; Jul 15 Corn closed at $3.91, down 2 cents. Wheat: The wheat market closed lower, pressured by the firmer US dollar which will do nothing to aid ailing US exports. Solely based on last night's winter wheat crop ratings from the USDA, this year's crop doesn't look great at 44% good to excellent, but it's better than expected (40-42% G/E) and an improvement on last year (35% G/E). Current weather forecasts suggest a fair chance of rain for the Southern Plains this weekend. We've seen those forecast fail to live up to expectations before however. India estimated losses due to late season heavy rain and hail to their 2015 wheat crop at around 4 MMT. That would cut production this year to around 91-92 MMT. Russia said that they'd exported 26.335 MMT of grain so far this season, which is an increase of 26.3% year-on-year. Of that total 19.465 MMT is wheat, an increase of 26.6%. The USDA's FAS are predicting a Russian grain crop down 11% at 92 MMT this year versus the official (and seemingly optimistic) Ministry figure of 100 MMT. Wheat production will drop 10% to 53 MMT, they predict. They see wheat exports down from 19.5 MMT this season to 19.0 MMT in 2015/16. Ending stocks for 2015/16 will fall 3.1 MMT to 10.1 MMT, they estimate. All those figures exclude Crimea. The USDA attaché in Argentina estimated Argentina’s 2015/16 wheat crop at 12.0 MMT. May 15 CBOT Wheat closed at $5.26, down 1 3/4 cents; May 15 KCBT Wheat closed at $5.65 1/4, down 6 3/4 cents; May 15 MGEX Wheat closed at $5.83 1/2, down 6 1/4 cents. 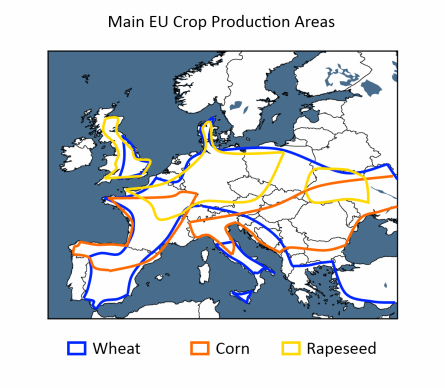 EU Grains Fall, Despite Euro Weakness, Record French Wheat Crop Looming? 07/04/15 -- EU grains returned from the Easter break to trade mostly lower. 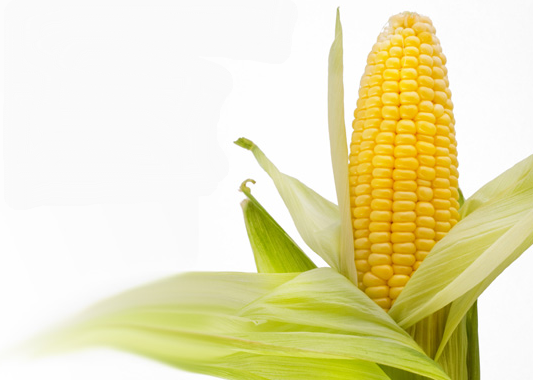 At the finish, May 15 London wheat was down GBP1.10/tonne at GBP121.85/tonne; May 15 Paris wheat was EUR2.25/tonne lower at EUR191.50/tonne; Jun 15 Paris corn was up at EUR163.75/tonne at EUR165.25/tonne; May 15 Paris rapeseed was unchanged at EUR363.75/tonne. 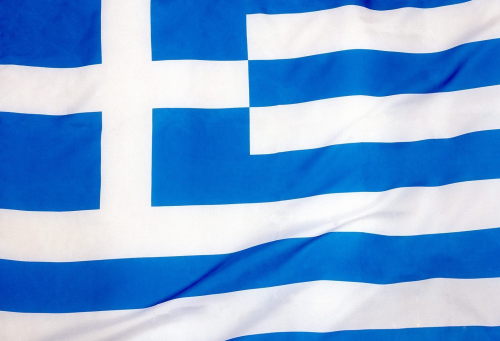 Uncertainty surrounds the future of Greece within the eurozone. Despite their assurances that this week's EUR450 million repayment to the IMF will be honoured, larger debts loom large on the near horizon. The euro was down sharply against both the pound and US dollar today, as the market fluctuates, seemingly undecided whether a "Grexit" would be bullish or bearish for the single currency. The euro fell below 1.09 versus the US dollar, and if support around the 1.05 level breaks then parity could be on the cards, according to some pundits. If that happens then it would surely add further support to the wheat market on the continent, which already sees exports running ahead of last year's record pace. Saudi Arabia bought 780 TMT of 12.5% hard milling wheat for Jun/Aug shipment over the weekend. The accepted origins were said to be the EU, North America, South America and Australia. Europe are probably the favourites to supply the majority of the volume. The prices paid were reported to be around USD230-240/tonne including freight. The French Ag Ministry reported spring barley plantings there are likely to fall 11.8% versus a year ago to 464k ha. That's partly due to an increase in winter barley and wheat plantings. The all barley area is only seen 0.7% lower at 1.758 million ha. The winter and spring soft wheat area is expected to be 3.4% higher at 5.179 million ha - the highest in more than two decades. 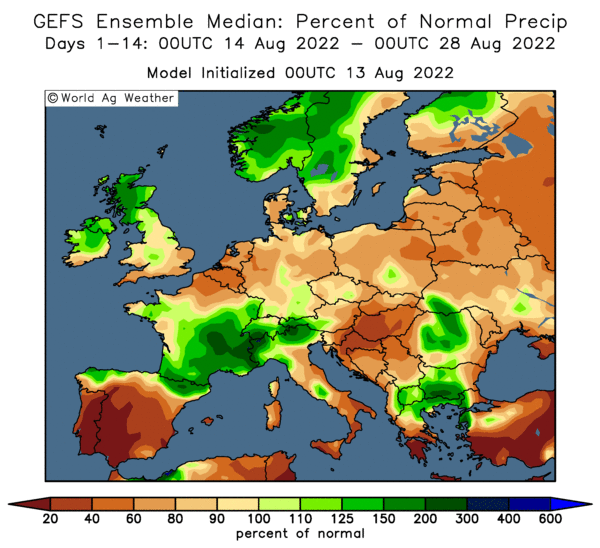 That data looks ominous for a potentially record large French wheat crop in 2015, when combined with FranceAgriMer's crop ratings figures from last week, where a large 91% of the winter wheat crop said to be in good to very good condition versus 76% this time a year ago. Russia said that they'd exported 26.335 MMT of grains so far this year, an increase of 26.3% compared with this time last year. Of that, 19.465 MMT was wheat (74%), 4.482 MMT barley (17%) and 1.963 MMT corn (10%), they said. The Russian Ag Ministry said that spring plantings had been completed on 1.5 million ha, around 3.2% of plan. 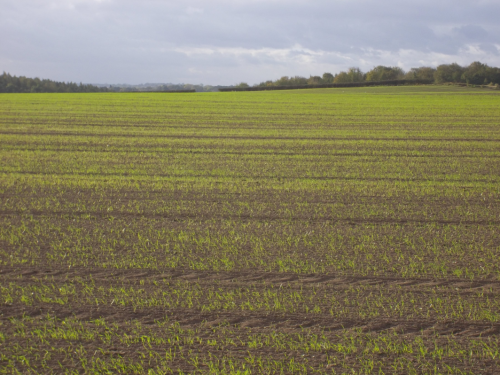 Only 49% of winter grains had thus far had any fertiliser applied to them, they added. Rosstat said that Russian consumer price inflation rose from 15.7% in February to 16.9% last month, with food prices up 23% year-on-year. Things are even worse in Ukraine where inflation is now running at 45.8%, and food prices are up 53.4% versus a year ago. Ukraine fertiliser manufacturers are reporting a sharp drop in spring sales as farmers look to cut costs any way they can. Ukraine said they they'd so far exported 332 TMT of the 850 TMT of preferential duty-free wheat quota issued to it by the EU. The Indian Ag Ministry estimated wheat losses due to late season heavy rain and hail at around 4-5%, which would be something in the region of 4 MMT. There could also be some quality issues, leading to extra imports of higher grade wheat to blend with inferior domestic supplies. Is This Greek Tragedy Finally About To End? 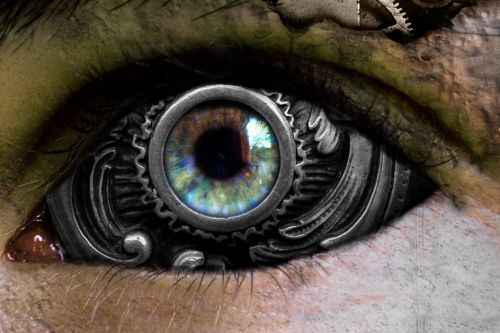 07/04/15 -- I see that the IMF chief (and unconvincing part-time trannie) Christine Lagarde says that she's chuffed to bits that Greece will be making full repayment on a EUR450 million debt due on Thursday. If somebody owed me EUR460 million, and I was shitting myself that I wasn't going to get it back, then I think that I'd be rather chuffed too. The thing is of course, saying it is one thing, doing it is entirely another. The Greek track record in telling the truth isn't great, after all. Still, it's "only" EUR450 million, there are some much larger obstacles to overcome in the month of April. I read over a leisurely Easter weekend that there's another EUR1.4 billion worth of Greek government bond debt falling due less than a week later (Apr 14), followed by a further similarly huge amount due on Apr 17. Where the hell are they going to find that from? (There's also the not insignificant estimated EUR1.7 billion worth of social security payments due to be made on Apr 14 as well). The Greek PM is due in Russia tomorrow, and the timing of that meeting with Vlad the Bad may not be entirely co-incidental. But has Putin got that kind of cash lying around? 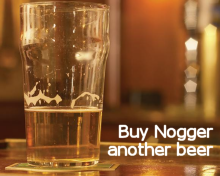 Not at the moment I'd suggest. This enormous Greek tragedy has been going on for almost 5 years now. Five bleeding years. Maybe it's time for it to end once and for all? If we do finally get the "Grexit" that we've been talking about all this time, what does it mean for the euro? The market seems to think that finally getting rid of this lame duck would be a bonus, judged by recent modest euro strength, and who could blame it? 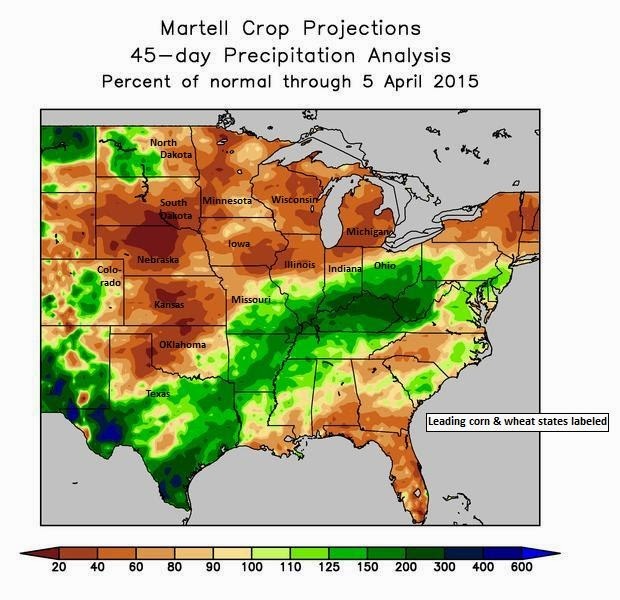 "Recurring showers the past 2 weeks have improved field moisture for corn planting, due to begin toward month end. Most corn farms in the Midwest have received above-average rainfall though the subsoil is still very dry, reflecting intense drought previously. However, another 2-4 inches of rainfall would be needed to quench drought in southeastern Iowa and central Illinois the 2 leading corn states. Dry subsoil conditions exist also in the Upper Midwest -- South Dakota, Wisconsin and Michigan, all together affecting 22% of the Midwest corn belt. "Stormy Midwest weather is predicted in the upcoming week, along with warm spring-like temperatures. Recurring showers are predicted. Very heavy rainfall is projected in the Upper Midwest, especially, where an active storm track develops. If drenching rain develops, as predicted, it may relieve dry field conditions. "A cool Easter Sunday in the Midwest would be followed by strong warming in the week ahead, favouring fieldwork for corn planting. Corn seeding is due to begin in late April finishing up the first week of May. 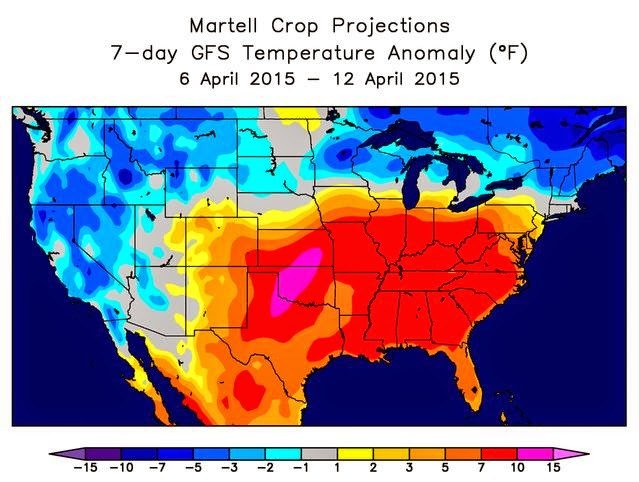 Midwest producers would not risk planting any earlier, due to the higher chances for a hard freeze. Early spring planting dates afford the highest potential corn yields, as strengthening solar rays and longer daylight hours boost growth and development." What do you mean, you can't see the maps very clearly? You can click on them to enlarge them, you muppet. 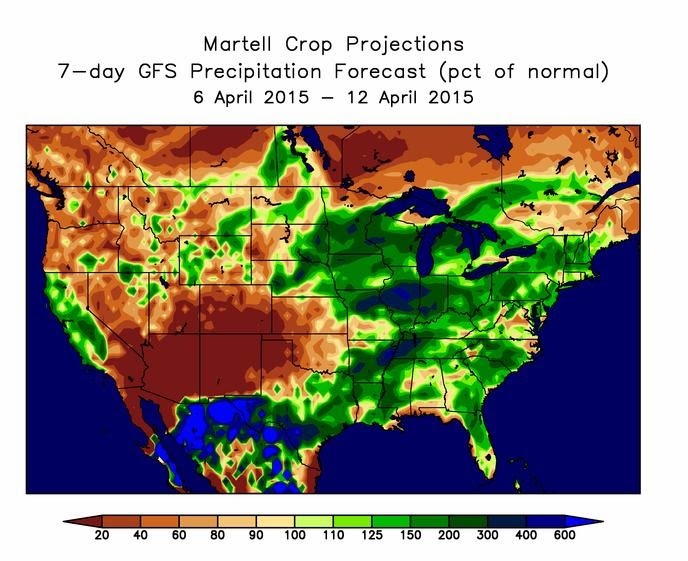 You can find out more about Martell Crop Projections fantastic service by clicking here - why not consider the 15-day free trial, "free" being a word that I know is close to many of your hearts! 06/04/15 -- Soycomplex: Beans closed lower at the end of a quiet session, with many participants still away on holiday. European markets remained closed for the Easter break, and fresh news was lacking. The USDA reported weekly soybean export inspections of 564,823 MT, down from 657,553 MT last week. Year to date shipments are now 44.89 MMT. The USDA currently have total full season exports at 48.716 MMT, so they are at 92% of that target already, ten points ahead of a "normal" year. The Argentine Ag Ministry said that growers there have 83% of their old crop beans sold versus 91% a year ago. New crop sales are at 18% versus 16% a year ago. The USDA are out Thursday with their April WASDE report, so we could get some book-squaring ahead of that. "The first 'official' outlook for 2015/16 will come in the May WASDE report. Thursday’s WASDE is not expected to be much of a market mover," said Benson Quinn. CONAB are out Friday with their Brazilian production estimates. Last time they had the Brazilian bean crop crop estimated at 93.3 MMT. May 15 Soybeans closed at $9.78 1/2, down 7 1/2 cents; Jul 15 Soybeans closed at $9.83 1/2, down 7 3/4 cents; May 15 Soybean Meal closed at $323.00, down $4.30; May 15 Soybean Oil closed at 31.26, up 22 points. Corn: The corn market ended a cent or so lower in subdued holiday-type trade. Weekly export inspections of just over 1 MMT were supportive. Even so, that only takes the season to date total to 78% of the current USDA estimate, which is five points behind "normal". Argentine farmers are said to be almost 33% sold on their 2014/15 corn crop versus 18% committed a year ago at this time. The Russian Ag Ministry forecast 2015/16 corn production there down 1 MMT on last year at 10 MMT. They see exports falling from 2.1 MMT this season to 2.0 MMT next time round. APK Inform said that Ukraine seaports shipped out 303.2 TMT of grains this past week, of which almost 82% (248.1 TMT) was corn. The USDA's FAS in South Korea estimated that the Asian country will import 4 MMT of US corn in 2015/16, meaning that the US will account for around 41% of all South Korean corn imports. The USDA resumed their weekly crop progress report today, but didn't include any figures for corn, they are expected to come next week. They reported US sorghum plantings at 9% complete versus 11% a year ago and 15% for the 5-year average. Tonight's new crop soybean:corn price ratio finished at 2.36:1 versus 2.37:1 at the end of the last session. Following the USDA on Thursday, CONAB are due to update us with their Brazilian crop estimates on Friday. Last time round they had the Brazilian corn crop at 78.2 MMT. May 15 Corn closed at $3.85, down 1 1/2 cents; Jul 15 Corn closed at $3.93, down 1 1/2 cents. Wheat: The wheat market reversed overnight firmer trade to close lower. Weekly export inspections of 370,086 MT were up from 323,132 MT last week but well below the 629,787 MT exported a year ago. This remains the number one problem for US wheat. The USDA reported that 44% of the US winter wheat crop was in good to excellent condition versus trade guesses of 40-42%. This was their first weekly rating of the spring. Last year the crop was rated only 35% good to excellent. Kansas G/E came in at 33%, OK was 43%, NE was 34%, TX was 54%, WA and SD were both on 29%. Saudi Arabia were reported to have bought 780 TMT of optional origin wheat over the weekend at values that Benson Quinn called "sobering". The Russian Ag Ministry maintained their insistence that the country would harvest 100 MMT of grains this year, forecasting exports at 25 MMT. The USDA's FAS in Moscow put this year's grain crop down 11% at 92 MMT, with domestic consumption up slightly to 70.6 MMT. They see this year's Russian wheat crop falling 10%, or 6 MMT, to 53 MMT. The Russian deputy PM said that he currently sees no reason to consider an early cancellation of the export duty on wheat, indeed adding that he is not ruling out an extension when the current one expires at the end of June. The Canadian Wheat Board said that the country had exported 10.6 MMT of wheat (excluding durum) in the first 34 weeks of the season, an increase of 7% year-on-year. May 15 CBOT Wheat closed at $5.27 3/4, down 8 1/2 cents; May 15 KCBT Wheat closed at $5.72, down 10 3/4 cents; May 15 MGEX Wheat closed at $5.89 3/4, down 5 3/4 cents.